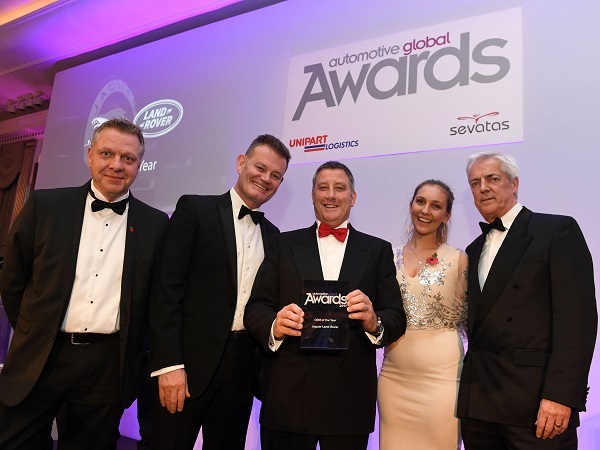 At the sixth Automotive Global Supply Chain Awards held at Claridge’s Hotel, London; Jaguar Land Rover were presented with the prestigious ‘OEM of the Year Award’. David Dyke Global MP&L Director commented ‘This recognises not only the professionalism, innovation and rigour applied to our Supply Chain Development but also shows the collective alignment across MP&L, Purchasing and Aftermarket. JLR is now seen as a model for other OEMs to follow. Additionally Gareth Williams, Global Distribution Manager for JLR was presented with a Leaders Award for driving UK, European and Global Vehicle Distribution development across the industry.